The Valmontone Outlet Village and the Castel Romano Designer Outlet are must stop locations for all quality shopping enthusiasts! Each located just outside of Rome. They are without a doubt the largest roman shopping malls and with millions of annual visitors, they are the most important business districts of the Lazio region. But what are the differences between the two Outlets? The Castel Romano Designer Outlet is more focused on designer clothing and fashion. The Valmontone Outlet Village also has fashion clothing as well as other family family oriented gift ideas. Here are the store lists for each outlet: Castel Romano and Valmontone. Both offering discounts raging from 30% to 70%. WheretoRome offers a direct nonstop Car Service Valmontone Outlet. If you wish to safely store bags and luggage in the vehicle make it an Italy Tour. And choose you car service by the hour rather than by transfer. So as to keep the driver on stand by as you shop and load the vehicle. What to shop at the Mall in Tuscany? Our Tuscany Car Tours can take you there! 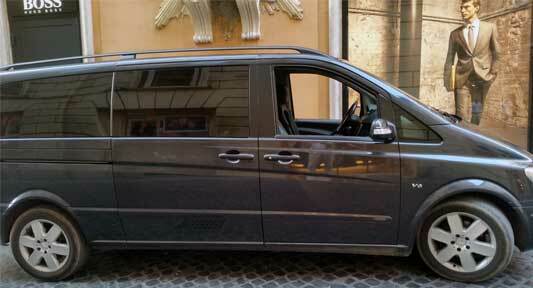 Car Service to the Valmontone Outlet and the Castel Romano Designer Outlet. With more than 170 factory outlets which make up an immense shopping opportunity. Customers will find a variety of amazing Italian products especially in the clothing sector. Footwear, household goods but also leather goods and gift items. The Valmontone and Castel Romano Outlet is an opportunity to shop and save on items from the best brands of clothing and more. The discounts on average are between 30% and 70% on the retail price that you would normally find in the regular stores. With a vast and elegance choice and convenience .. it is the perfect shopping location for your Rome visit. Check out these pages if you with to include transfers in and out of the city of Rome such as to and from the Airports or the Seaport.